Wherein my Red Ripple Scriptorium Pens Custom (IM) is paired with Diamine 150th Anniversary Burgundy Royale. 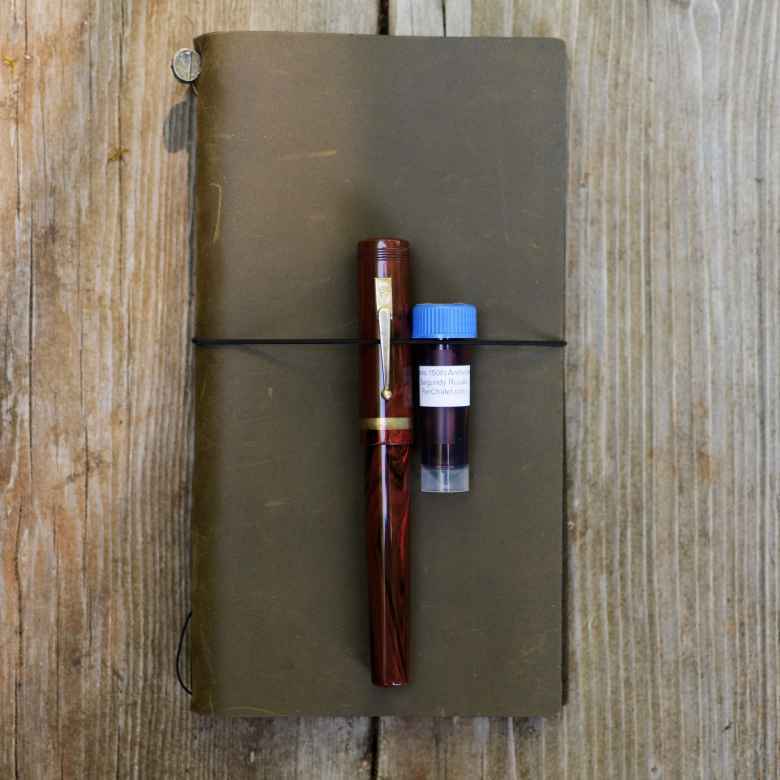 On June 22, 2018 my Red Ripple Scriptorium Pens Custom (IM) joined its comrades when it was filled with Diamine 150th Anniversary Burgundy Royale. The pen was in use for 6 months and was emptied and cleaned on January 13, 2019 , saying good-bye to its fellows. I was given six ink samples for Father’s Day, and today I decided I want to try them all out! It’s been a while, too long, since I’ve used this pen, and I recall having used some burgundy ink in it before, so I thought I’d give that another shot. I really enjoyed this ink, and might consider adding a bottle of it to my inventory. I don’t have many burgundy inks, but I feel inclined to spend more time with the ones I do have. It was a joy to use this pen. The size is comfortable in my hand. It just sits, effortlessly, allowing me to write. I was actually a tad sad to write it dry, but I did recently pick up a new bottle of ink in the burgundy spectrum, so it may return to service soon.